This crisp sweet base is baked to perfection and topped with a tangy lemon curd. Born and bred in good ol’ Lahore, this Lahori munda has done us proud in many fields. His claim to fame is painting, singing, dancing and acting. With his adverts zapped nationwide on billboards and television channels, singing and dancing to his own composition, Ali Zafar goes around painting the town yellow and red. Shuffling between the neighbouring Indian film industry, local adverts and composing albums, he is a busy man, yet he was kind enough to take my call whilst driving back home from his dentist appointment. Given the lack of time and opportunities to meet him, I managed a ‘lightning round’ with him over the phone. Me: If ever given a chance to act for this side of the border, would you like to act in Pakistani dramas or films? If yes, who would you like your drama queen to be? Ali Zafar (AZ): For now films. The queen can be anyone as long as she doesn’t create a drama on the set. Me: We have seen the funny bone in you in your last six Indian films. Will we get to see the emotional or evil side of yours? AZ: Well, all these films did have some serious and emotional quotient but yes, by and large they were comedy films. London, Paris, New York was a romantic film. However, Kill Dil is the film where you would get to see me in a completely different avatar. More serious and grey! Me: I am personally very fond of your song ‘Jhoom’. What is the inspiration behind it? AZ: I wrote the song as a medium of devotion to ‘life’ itself. It speaks about how life reflects itself in each and everything. It was written during a time I was going through a sort of reflective pensive phase in life. If you see the video of this song, you would see the depiction of drifting away from the glitz and glamour into a simpler side of life and finding happiness there. Me: Success is public, and so is failure. Does that bother you? How do you cope with it? AZ: Failure is your best teacher. If you experience it with an open mind, you can gain a lot from it. Me: What is the difference and similarity between Ali Zafar in NCA days and Ali Zafar nowadays? AZ: I was a student of arts during NCA days. I still am a student of arts in life! Me: When it comes to women, is IQ (Intelligence Quotient) more important or EQ (Emotional Quotient)? Me: Hahah… and what would ZQ and YQ be? AZ: The readers should employ their IQ’s to find out. Me: On a personal level, what is your daily routine like? AZ: I love spending time with my family, love intense work out sessions and eating a balanced healthy diet. And with that, he ‘jhoomed’ off for work. Feeling satisfied with the conversation I just had, I decided to treat myself with a tarty delight. 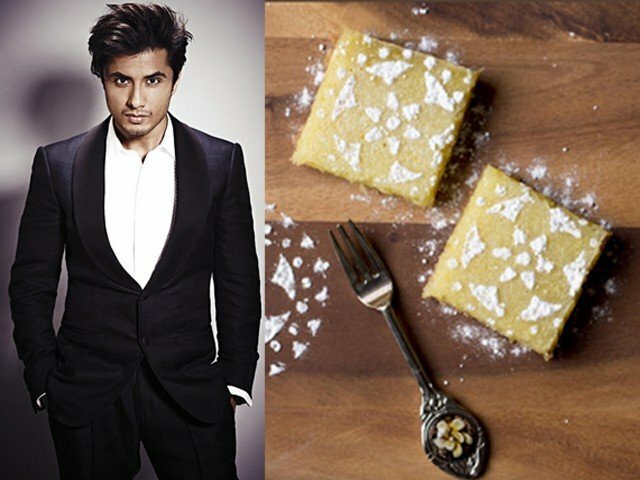 With Ali Zafar’s magical voice still dwelling in my mind, I zoomed off to the kitchen to prepare a simple dessert with lemons. Both tart and sweet at the same time, this crispy base is baked to perfection and topped with a tangy lemon curd. It does require a bit of preparation but, trust me, the results are well worth it. 1. 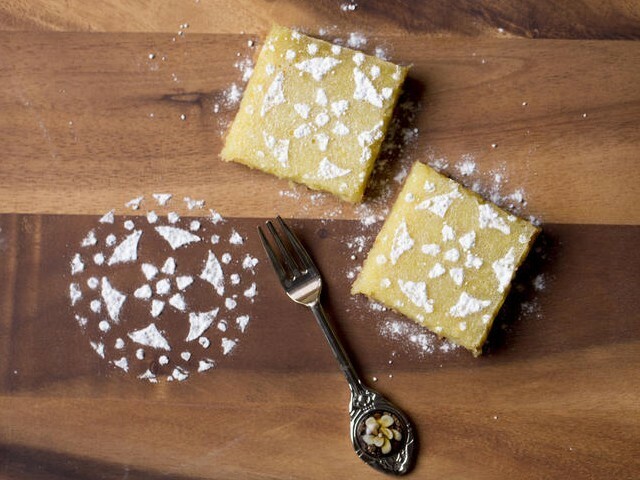 Line a 9×3 inch baking pan with baking or butter paper and set aside. 2. In a medium-sized bowl, combine the flour, sugar, almond flour, melted butter and vanilla essence. Stir until the mixture is almost smooth. 3. Spread out the mixture in the lined pan and level with your hands. 4. Bake the crust in a pre-heated oven 180C (350F) for 20-25 minutes or until the base is golden brown. 5. While the crust is cooking, zest and juice the lemons and tip in a food processor along with the eggs, corn flour, butter and salt. Blitz until just mixed, but be sure not to mix it too much. 6. When the base is ready, reduce the temperature of the oven to 150C (300F). Pour the lemon topping on the base and bake for another 25 minutes. The topping will be slightly jiggly but will solidify on cooling. 7. Once cooled completely, cut into squares and top with icing sugar. They can be stored in the refrigerator in an airtight container for four to five days. 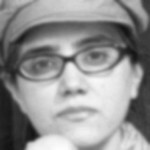 The writer is a food consultant, blogger and food photographer. You can see her work on her website www.capturebyst.com, her Facebook page www.facebook.com/capturebyst or follow her on twitter @capturebyst (twitter.com/capturebyst).